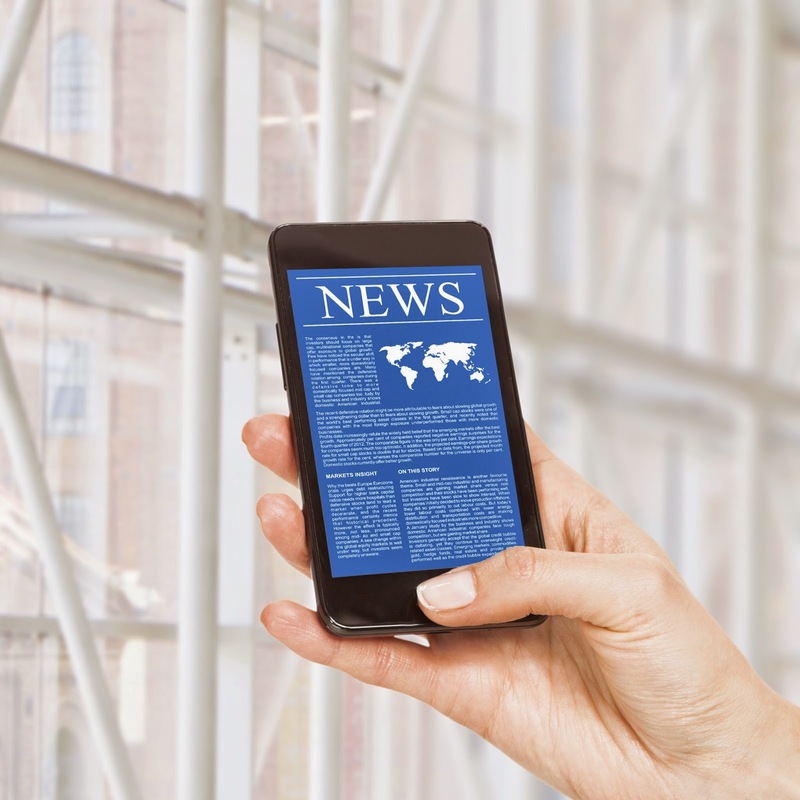 Have digital media made news headlines more sensational? Once upon a time, when the press was the queen of the media, professional standards demanded news reports to be an accurate, objective and precise accounts of events. Since then, TV and digital media have stepped in, and the objectives of the media have been transformed. The competition for information has been replaced by the competition for attention. The larger audience base you have, the better, and the best way to gain an audience is to create a sensation –a report about an unusual, extraordinary incident – or to reveal a secret. However the vast majority of news stories have little to do with our personal lives, so why should we spend time reading about a scandalous imprisonment of yet another maniac? Katarzyna Molek-Kozakowska has analysed the special linguistic techniques used to grab the readers` attention, making a headline seem interesting and relevant and revealing some sort of a mystery. Some topics are inherently more sensational than others, no doubt. Juicy gossip about Angelina Jolie`s special pyjamas is likely to attract a greater audience than a sombre report on bitter living conditions in Sub-Saharan Africa. However, the main focus of Molek-Kozakowska`s research was on the linguistic packaging of news: not on what we report, but on how we report it in order to hook some extra readers. She picked a total of 120 headlines, subheadlines and lead-ins from the most read Daily Mail articles, and compiled a survey asking participants which of the headlines seemed the most sensational and what made them so. Later, the sensationalizing strategies were discussed in focus groups in more detail. The words in italics in (3) evoke mostly negative connotations – well, that`s because in the media negative items usually have a greater news value than positive. Hence the extensive use of negative emotive vocabulary. In short, if you happen to be a budding journalist, it`s worth skimming through Molek-Kozakowska`s paper before writing your news item – maybe that will help you to turn a mundane report into a sensation! Molek-Kozakowska, Katarzyna (2013) Towards a pragma-linguistic framework for the study of sensationalism in news headlines. Discourse & Communication 7(2) 173 –197. Imagine you`re on a holiday of a lifetime, standing in front of a world-famous site, say the Tower of Pisa. So what do you do? What a silly question, you might think: climb it and take funny pictures, of course! But that`s the thing: how do you know what to do? Where does that knowledge come from and what turns millions of good citizens into jostling tourist crowds? According to Crispin Thurlow and Adam Jaworski, there`s more to tourism than merely seeing what other have already seen, posted on Flickr and written tons of guidebooks about. The researchers state that we never simply visit places, but we also take our share in shaping and making the place itself – that`s why the same sites have been attracting vast numbers of visitors for decades. This is achieved through the so-called hermeneutic cycle, formed by a complex layering of mediatised representations (for example, how a site is depicted in guidebooks or in travelogues), mediated actions (for instance, performing the Pisa Push –that is, posing for a photograph to create an illusion of supporting the Leaning Tower) and remediated practices, with digital technologies enabling us to reproduce and share experiences with the wider public in a split second. Another aspect of interest is the enactment of place – which is the capacity to ‘make’ space through the positioning of body. The authors used two sources of data in researching Tower of Pisa tourist practices: 10 video clips, extracted from over three hours of footage filmed during the observation of the site, and a ten-minute YouTube video of climbing the Tower, posted by an American visitor. These videos represent typical activity at the site. Body movement and gesture were a focal point of the research. The most meaningful element was the Pisa Push. 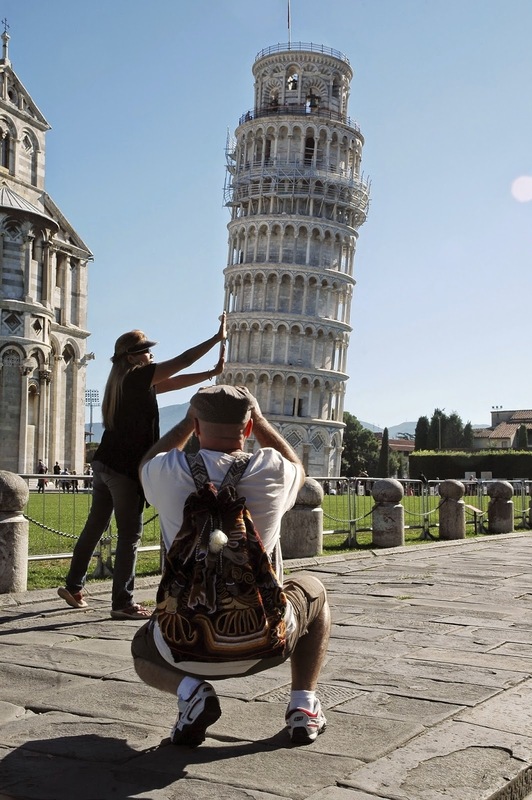 Whether supporting or pushing the Tower, that`s what you do to show you`re on the case, you have the knowledge of what other tourists do in Pisa. It also gives you a sense of ownership and power over space, albeit for a very short time. Another commonly performed action is pointing. It can be technologically mediated by cameras or laser-pointers, and doesn’t necessarily involve fingers. Whatever you choose, pointing is always indicative not only of the object being pointed at, but also of the pointer. Thus, by pointing, one points not only to the site, but also to oneself. On top of that, using a camera enables us to capture that moment for posterity – which, in short, could probably be called the essence of tourism. The second piece of data testifies to tourist practice as a ‘safe adventure’. The point of it all is to climb all the 294 steps to the top – that`s how this amateur video is staged, with the ascent being its most thrilling point, not the descent. Once again, it gives you a sense of personal achievement, because you temporarily conquer the Tower from bottom to top, despite the warning signs. So, next time you`re on holiday, keep in mind that you can do more than view sites – you can make them! Thurlow, Crispin and Adam Jaworski (2014). ‘Two hundred ninety-four’: Remediation and multimodal performance in tourist placemaking. Journal of Sociolinguistics 18 (4): 459-494. This summary was written by Marina Myntsykovska.